We all need saving tips if we really want to get serious about wealth building. It is one of the important habits that you need to learn in order for you to get a head start at growing your personal finances. When you learn how to save, it does not only mean you have full control over where your money goes to. It signifies that you are financially mature enough to know that you do not have to spend every money that you earn each month. That amount that you are putting aside each month is what you can use as capital to build up your wealth. Your savings will allow you to invest your money so it can start earning for you. It can also keep you from having to borrow money for emergency situations. While that will not really increase your money, it will at least keep you from wasting it by passing high interest rates. It will also help you save money in the end. There are so many things that you can do with your savings. But of course, you need to condition yourself to save first. According to an article published on Time.com, being a saver and a spender is actually wired in our genes. This study was done by Stephan Siegel of the University of Washington and Henrik Cronqvist of the Claremont McKenna College. They observed the money habits of Swedish twins (15,000 sets) and found out that they have the same financial habits even if they lost contact with each other. The study revealed that there are those who are natural spenders while there are those that are natural saver too. Apparently, the natural spenders are those who just cannot leave a store without buying anything. And there are natural savers who just feel guilty whenever they spend their money. The study mentioned could mean that no matter how many saving tips you give to natural spenders, it will be hopeless for them to put aside money. While it may be more difficult, we strongly believe that it is not an impossible task to accomplish. It will be like battling your natural born urges, that is true. But that does not mean you can never learn how to save money. You see, your financial behavior, even if they are truly genetically wired is still technically based on habits that you have formed. And habits, no matter how deep they go can be changed. You do not have to be burdened with them if they are destroying your life. Having said that, there is still hope for spenders out there. Even if you think that you are doomed to spend every single penny, that can be revised. Here are a couple of saving tips that could be effective for those who are naturally born to spend. Get help from a friend. Believe it or not, you can save money through your friends. The power of peer pressure is real. It can really change who you are. You can use this power to your advantage if you really want to be serious about improving your saving habits. Hang out with people whom you know are really good at saving. Let them know that you wish to be a saver yourself and try to emulate what they do. Observe their habits and try to develop the same. Look for a financial adviser. If your friends are mostly spenders, you can turn to a professional for help. Get a counselor and ask them for saving tips and strategies. They may be better than being influenced by your friends because they make a living out of helping people improve their personal finances. That makes them experts. You can tell them your story and they can let you know their professional opinion about what you are doing wrong with your life. They can give you concrete steps to follow that will make it easier for you to develop the right habits that will help you reach your saving goals. Remove things that will tempt you to spend. If your credit card gets you to spend more than what you really need, you may want to remove them from the picture. Using cash to spend is psychologically more painful to do. When you remove the convenience of credit cards, you have to deal with withdrawing physical money from an ATM. And every time you go out on a shopping errand, you should only bring enough money for what you intend to buy. Bring along a little extra for emergencies but make it very minimal. That way, you do not have to spend more than what you intend. Keep your emotions stable before you shop. According to PsychologyToday.com there is a connection between your emotions and how you spend your money. You need balance both your emotional condition so your finances can follow suit. For instance, if you are feeling emotionally high, whether that is positive or negative, it clouds your sense of judgement. This is why retail therapy is one fo the sure ways that you can destroy your saving goals. Pay attention to the little details. Some people make the mistake of focusing only on the major and expensive purchases. However, if you write down everything that you spend on, you will realize that it is the small and inexpensive purchases that is actually ruining your budget. Sometimes, they are so small that you do not even realize their effect on your budget – until is is too late. Remove the unnecessary small expenses and you will find yourself being able to save more of your money. While these saving tips are effective, you need to commit to them to make them work. That is the key to teach yourself how to save. No matter how against it is from your natural habits, you can change from being a spender into a saver if you only commit to it. Working on your savings, especially when time is against you is no easy feat. Apparently, this is what a lot of middle-class Americans are burdened with. Wells Fargo revealed that this is a challenge for a lot of Americans – especially the 34% who are not contributing to their retirement plan. You can certainly expect that once retirement age is around the corner, they will be scrambling to put in as much savings as they can so they have enough to retire on. While it is a daunting task to accomplish, it is not impossible to reach your goal. 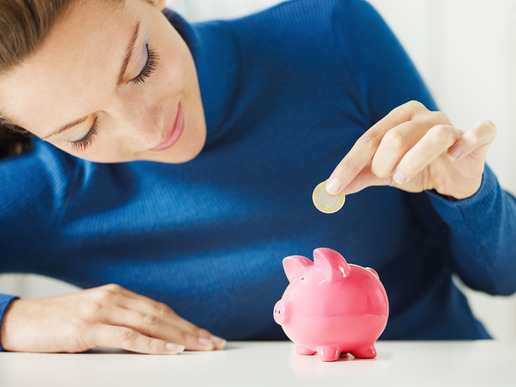 There are effective savings tips when you have a lot to save for and so little time to do it. Here are some of them. Stop using bloated budgets. While it will keep you from overspending, it will also eat up money that you could have been putting aside. Be accurate and realistic at the same time when you allot a budget for a particular spending category. Use budgeting tools. The key to saving is actually in your budget. Feel free to avail of tools and apps that will help you keep your expenses in check. Live a frugal life. Downsizing your lifestyle is a great way for you to lower your spending so you can put aside more money into your savings. A frugal life will allow you to meet only the basic necessities while putting aside the rest for the future. Love what is free. If you can get something for free, or for a fraction of the cost, that is what you should go for. that could boost your savings even further.